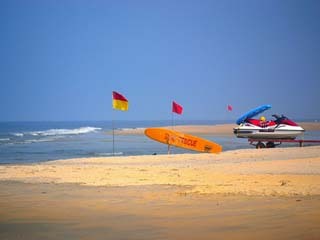 Mayflower Beach Resort is located in Calangute, Goa. Situated 8 km from Mapusa City and 24 km from Thivim Railway Station, it features Portuguese-style architecture and has an outdoor pool. Free WiFi is available in the public areas of the property. The rooms come with a 32-inch flat-screen TV, a safety deposit box, and a minibar. Each room has a private bathroom with a hot shower. Mayflower Beach Resort is 45 km from the nearest airport, and a 2-minute drive from the nearest casino. Tito Nightclub and Baga Beach are a 1-minute walk from the hotel. The hotel provides bicycle rentals, tour bookings, and currency exchange. Laundry services are also available. Indian, Chinese, and continental dishes are served in the restaurant. Vegetarian choices are available. The open-air bar offers snacks and drinks. The hotel's restaurant serves a daily breakfast, as well as a wide selection of international and local dishes. Hotel Mayflower is located on Titos lane, Saunta Vaddo, Baga,Calangute, Bardez, Goa. 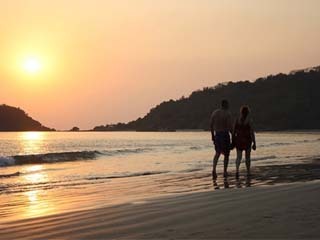 Placed in Canacona, Goa Palolem beach offers serene and soothing allures. 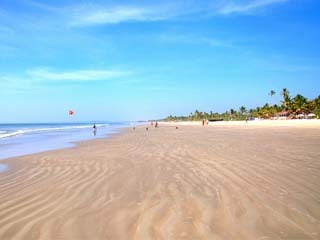 It is one of the most reputed beaches in Goa and is famous for water sports and adventures.